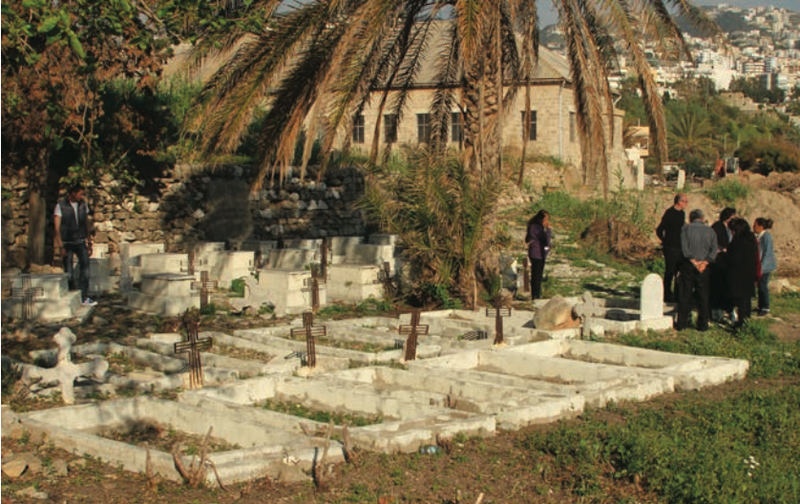 Home Tags Posts tagged with "The Catholicos of the Great House of Cilicia"
Historic Bird’s Nest cemetery in Byblos may be destroyed for a new beach resort. 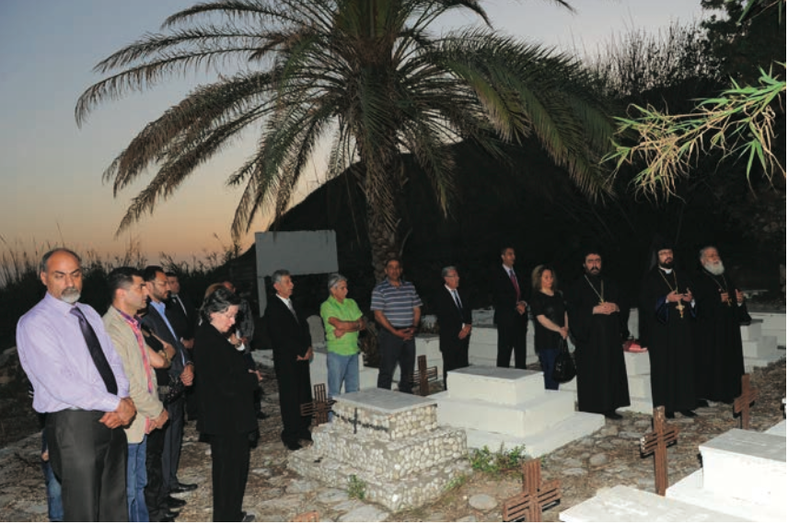 Barely two months after the 100 year anniversary of the Armenian Genocide, relatives of those who survived the mass killings are now fighting to prevent the graves of their loved ones from being exhumed to make way for a luxury resort in the coastal town of Byblos. Escorted by police, a group of laborers arrived at the historic cemetery Monday morning to begin digging up the graves, but they were stopped by a last minute court order filed by the relatives of one of the deceased. Relatives had previously filed a complaint in March soon after the project was first announced and a judge had opened an investigation into the case. 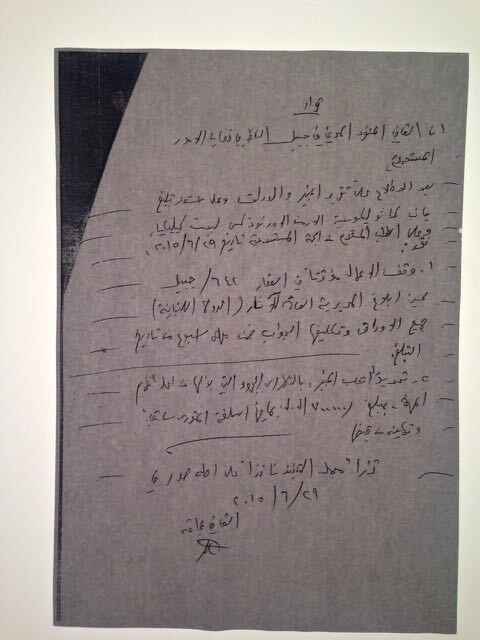 Yet despite this ongoing investigation, an attempt to dig up the graves was made yesterday, according to Vartan Avakian, great-grandson of Hagop Avakian, who was born in 1894 in Turkey and among the earliest genocide survivors to settle in Lebanon. 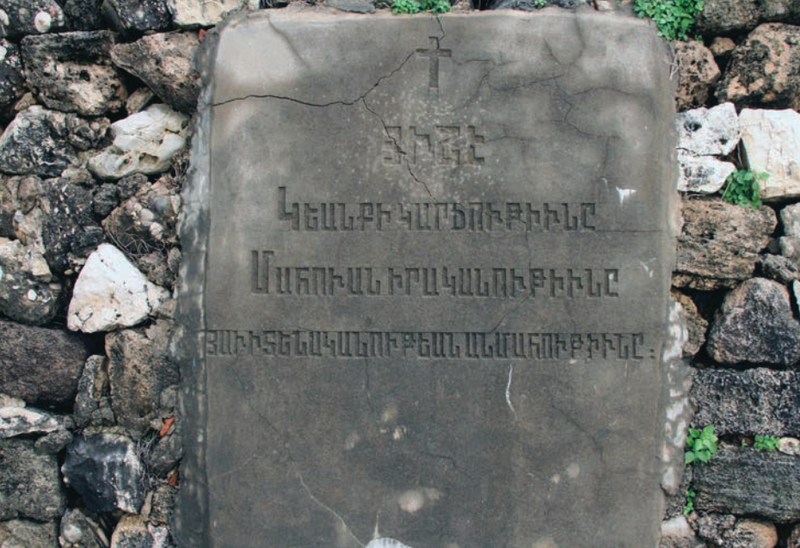 A memorial stone marking over 30 graves buried at the cemetery, which includes the remains of genocide survivors. But despite this intervention, Avakian worries about rumors that a second attempt to exhume the bodies is being imminently planned. As I reported in March, the Armenian Church that manages the cemetery– The Catholicos of the Great House of Cilicia– has apparently made a deal with a developer to lease the seaside property for a beach resort. There is concern that the church building itself, one of the oldest Armenian churches in Lebanon–may also be used to host a spa or restaurant for the future resort, which is reportedly linked to former telecom minister Jean-Louis Qordahi. 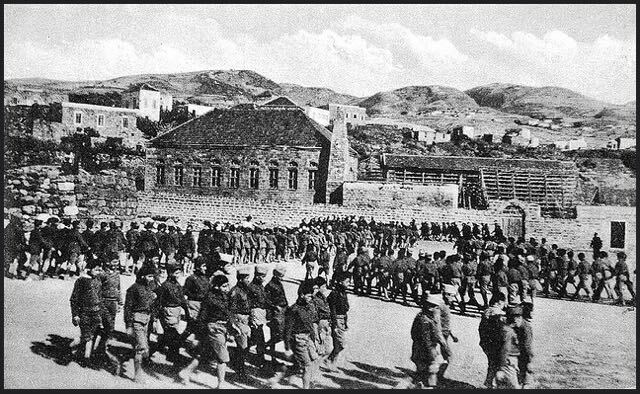 In the early 1900s the site known as “Bird’s Nest” was part of a Danish missionary orphanage and school that sheltered large numbers of genocide survivors, and later became an anchor for one of Lebanon’s earliest Armenian communities. Bird’s nest orphanage in the early 20th century. The main church building seen in the background survives today, yet developers are eyeing for part of a resort project. Relatives claim the cemetery falls within public domain as an archeological site. Map by Vartan Avakian. The Church has announced that the bodies will be honored at a new shrine far from the coast, but this will reportedly serve as a mass grave. It’s hard to imagine why a developer or the Church don’t find it problematic to exhume the graves of genocide survivors. The idea that the Church itself could be used for a resort project is likely to upset many in the community who frequented the place of worship for family events or attended a primary school that was part of the church complex. The old church building can be seen on the left, the cemetery lies just in front of it on the Mediterranean coast. Beyond the obvious threat to community and cultural heritage, this case raises a number of legal questions. How could workers be deployed to the site to begin digging when an court investigation over the legality of the digging is still ongoing? How is it that the Church is able to lease property that may fall under the jurisdiction of government and antiquities authorities and may still contain important historical and archeological data? 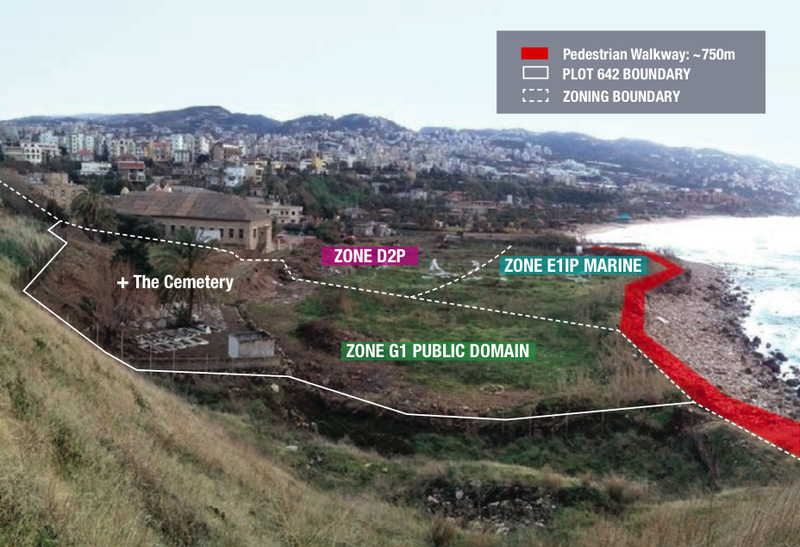 Finally, what will be the impact on public access to the sea– a right enshrined in Lebanese law– if more private resorts are built on the coast? 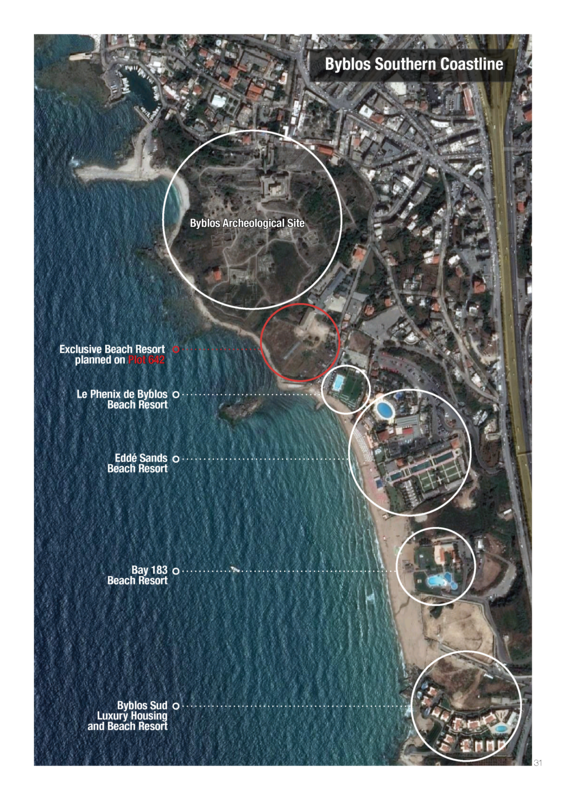 If developers have their way, the site of a future project on plot 642 will be the latest resort on the Byblos coastline, which already teeming with exclusive projects that hamper public access to the sea. Map by Vartan Avakian. We have already seen the coast being privatized in Beirut with very little left for citizens to access, a story I have recently reported on for The Guardian. So far activists have managed to make some headway in that case, with the help of public pressure and strong legal research. Will civil society also be able to make its voice heard in Byblos? I encourage readers who value this site to share this information and help pose these questions. Facing the power of the church and well-connected investors, the relatives of the survivors are fighting a lonely battle and could use all the help they can get in publicizing this case. A statement has been issued on a Facebook page claiming to represent the Bird’s Nest Orphanage criticizing media coverage of the site destruction and claiming the move is “in accordance to the law.” The plan is to move the graves close to a memorial now under construction near the grave of the orphanage founder Maria Jacobsen, who is buried further inland, away from the coast. The statement says this move was done with the consent of families who were “honored” to have their loved ones buried next to Miss Jacobsen. The statement says the “income generating project” will help pay for the rehabilitation of church buildings and is done “under the supervision of the Directorate of Antiquities.” The statement ends by blaming the media and “emotional disturbances of individuals” for reacting to the story with “sensationalism” and “intentionally omitting facts” to distort reality. -the “many families” who have approved to the project, stating it would be “the greatest honor” to have their bodies moved. This quote has no name attached to it. -the legal complaint that alleges the removal of graves is not the jurisdiction of the church. -the pending legal investigation into the case and the issuance of a work stoppage order by Judge Ajaka. Finally, insinuating that those family members critical of the project suffer from mental or “emotional distress” as well as the claim that only the church is empowered to decide on the fate of the orphanage doesn’t really bode well for the type of community support and involvement the Orphanage is claiming. The campaign opposing the project has just released an extensive dossier highlighting the historical and legal context of the site, including a number of detailed maps. They have also launched an online petition to oppose the grave destruction.